Justin Milne's demand for the sacking of Emma Alberici is an unforgivable breach of the ABC's independence. He must resign, and quickly. 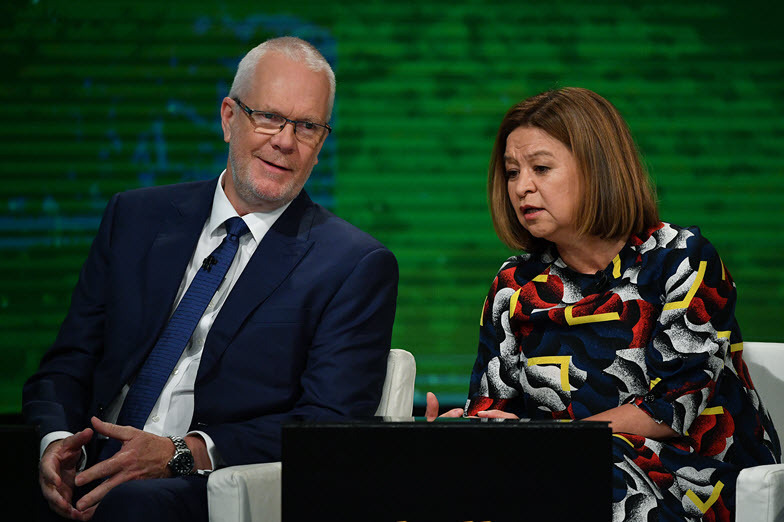 If the issue of whether Michelle Guthrie was suitable for the job of ABC managing director was open to debate -- a debate eventually resolved by the ABC board in the negative -- there is no such confusion about whether chair Justin Milne is suitable for his job. He manifestly isn't, and must go, and quickly, before any further damage to the ABC's independence is done. The email in which Milne, a friend and former business partner of Malcolm Turnbull, demands of Guthrie the sacking of journalist Emma Alberici -- because the Turnbull government MPs “hate her", that the ABC is "tarred with her brush. I think it’s simple. Get rid of her." -- is the most significant ABC board leak in decades and unprecedented in terms of the intervention of politically appointed board members in the operation of the ABC.